It was Easter Eve, a saturday, if i remember correctly. My sisters and I were decorating the Easter Tree with our Mother. We were singing Easter Carols...happy, excited, waiting for Dad to get home from work. A few hours passed, and we started to worry. Dad wasnt home yet. Mom called the office. The said he had left. After about a week ,the police gave up. It was snowing outside, even though it was clearly April. The house was cold. I threw some logs on the fire....thats when i noticed the smell. He was dressed in an Easter Bunny costume. 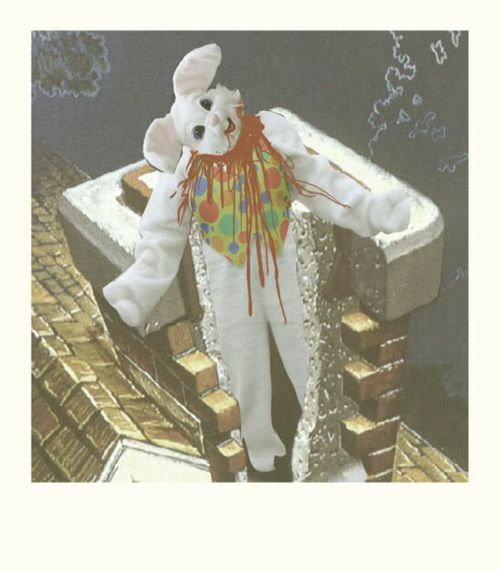 He had been climbing down the chimney on Easter Eve, his arms loaded with eggs and candy. He was going to surprise us. Thats how i found out there was no Easter Bunny.